What is not to love about this gorgeous modern and organic wedding?! 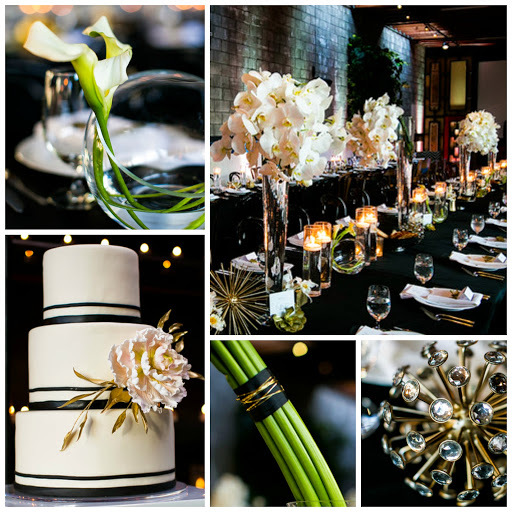 The Smog Shoppe in Los Angeles was the perfect venue to stage this black, gold, and white beauty. We used radiant white phalaenopsis orchids, hydrangea, and calla lilies placed on multi-level platforms to set the stage for Kate and Mike's special day. The bouquets were absolutely exquisite! 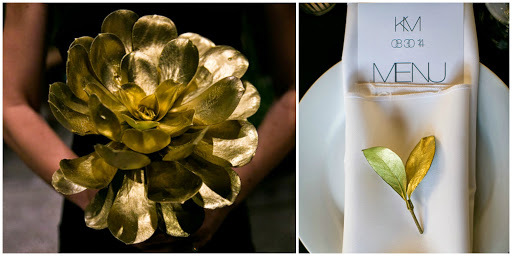 The bridesmaids carried gold-painted oversized succulents while our beautiful bride walked down the aisle with a bouquet made of thirty cattleya orchids! And we can't forget about our long, dramatic feasting tables which featured both high and low centerpieces. Above eye level were cascading orchids and closer to the table were calla lilies in our modern half dome glass vases mixed with dozens of romantic floating candles! 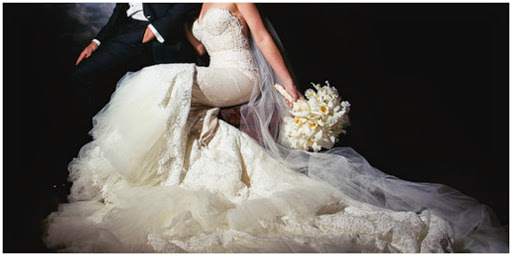 Thank you to the amazing photography team at Callaway Gable and the spectacular planning from Modern LA Weddings!